Villa Piccola Siena v Siena, Itálie: Zarezervujte nyní! Our experience in hospitality will to make you fall in love deeply with our beautiful land. Our staff, composed by receptionists, guides and experts, is always at disposal to provide you with the best services you might need or require. Its strategic location makes it possible to easily reach both the art and historical attractions of the town centre and the beautiful Sienese countryside. Their discreet elegance will make you feel almost at home, making you forget you are staying in a lodge. Every effort has been done to give you this warm feeling of welcome. In every room it's possible to connect to the Internet with ADSL through a PC station that will allow you, with a special card to be required at the Reception Desk, to use the computer and to navigate as long as you want, for the whole length of your stay. The service always includes the usage of the lodge private parking and the morning buffet breakfast. 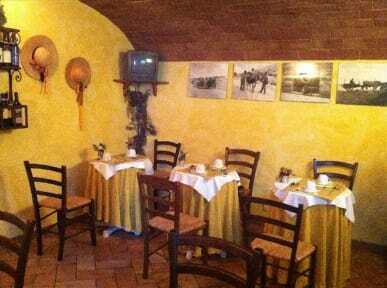 Our affiliated restaurant offers the chance of half board or full board with fish and meat traditional Tuscan cuisine plus pizza at lunch and dinner. 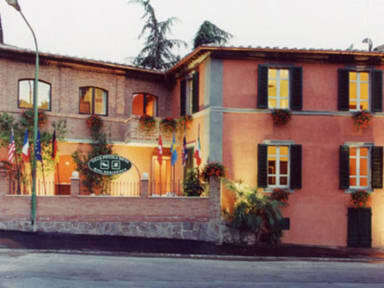 Villa Piccola Siena offers every room with a private bathroom with shower, equipped with every modern comfort, such as satellite TV, air conditioning, telephone, safety box and mini bar.